Sweet stuff - RKO's 1934 production of Anne of Green Gables was a faithful, whimsy-infused adaptation of L. M. Montgomery's classic novel about a spunky, talkative orphan girl who melts the hearts of all around her. It follows other family-friendly '30s adaptations from the kiddie lit book shelf, along the same lines as Little Women (1933), Treasure Island (1934) and David Copperfield (1935). Although those three films have been available on DVD for an eternity, it's taken Warner Bros. this long to finally release Anne as a made-to-order disc through their Warner Archives program. As usual, the film is devoid of extras (not even a trailer), although Anne's legions of fans probably won't mind. Anne's adventures have been made into films several times over the years; this RKO production stands out for being as faithful as possible to the original 1908 novel (only the ending got revised to become slightly less dour). Child actress Dawn O'Day was cast as Anne Shirley, transitioning smoothly from a chatty, imaginative young girl to a poised high school graduate during this compressed story. 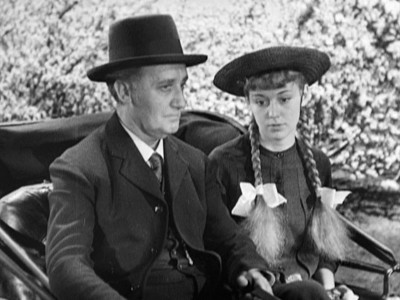 Although a little too old for Anne's earlier scenes, O'Day captures Anne's curious imagination and sunny disposition - one can see why she was inspired to change her name professionally to Anne Shirley for this movie's release. Up until the more definitive 1985 Green Gables adaptation, Anne Shirley held strong as the onscreen Anne. As with the book, we first meet Anne as a dainty orphan, brought to picturesque Avonlea on Canada's Prince Edward Island to help out a pair of middle-aged siblings, stern Marilla Cuthbert (Helen Westley) and her quiet brother, Matthew (O. P. Heggie). 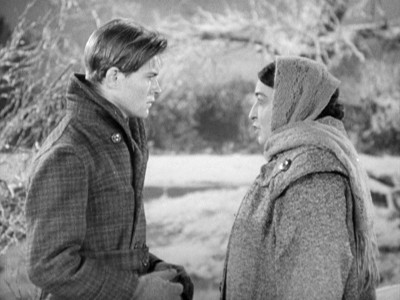 The talkative girl endears herself to Matthew, although he knows there will be trouble since the Cuthberts were expecting a boy from the orphan asylum. Upon meeting Anne, Marilla predictably becomes irate and goes about placing her into another home. In short time, however, Marilla is won over as well. Her residency at Green Gables earned, Anne then goes about spreading cheer to those around Avonlea, including prickly neighbor Rachel Barry (Sara Haden). 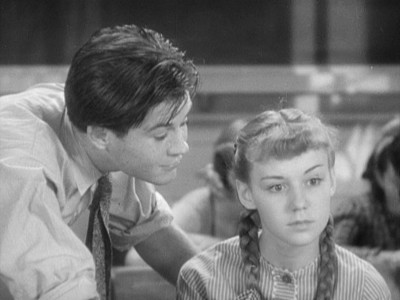 Anne makes Rachel's sweet daughter, Diana (Gertrude Messinger) her "bosom buddy" and faces off against a taunting classmate, Gilbert Blythe (Tom Brown). Gilbert, too, become's Anne's friend, although he isn't welcome at the Cuthberts due to a long-ago romantic entanglement involving Gilbert's father. Anne subsequently graduates and goes off to a teachers' college, never forgetting Gilbert. Now married, Diana visits Anne and delivers devastating news, prompting Anne to quit school and return to Green Gables. At just under 80 minutes, this Anne is a little rushed yet altogether wholesome, charming, and sweetly entertaining. L. M. Montgomery crammed a bunch of action into that first Anne book, probably never imagining that it would take off the way it did. This production duly includes all the key scenes in the book, stiffly recreating the ambiance of rural Canada on studio sound stages. 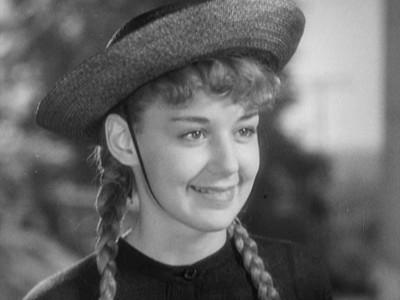 Despite Anne Shirley's gawky theatricality in the early scenes, all the roles are pretty much perfectly cast. The direction of George Nichols, Jr. is reminiscent of George Cukor's work on Little Women, while some of the gently comical scenes involving Anne, Marilla, Gilbert, and Rachel Barry share a bit in common with another early Katharine Hepburn vehicle, Alice Adams. The Warner Bros. Archive Collection made-to-order DVD edition of Anne of Green Gables sports a solid mastering job, although the print they used is more weathered than other '30s-era Archive discs. Scratches and bits of dirt and dust are a constance presence, along with white specks. The picture is pleasantly balanced and pretty stable throughout. The only moment of weirdness is a brief negative-posterized effect during the fade-out on one scene toward the end. The disc is furnished with the film's mono soundtrack in an adequate mix which has the expected, occasional pops and clicks. The dynamics are pretty limited, although dialogue is relatively clean and listenable. No subtitles are included. None. A simple menu sports just a "Play" option. The 1934 version of Anne of Green Gables made beguiling results of L. M. Montgomery's beloved novel of growing up in the Canadian countryside. The story remains as episodic as ever, while Anne Shirley (the actress) is too mature to believably pull off Anne Shirley (the character) as a chatterbox young 'un. Still, this is a certified kiddie classic that's long overdue for the DVD format. Recommended.